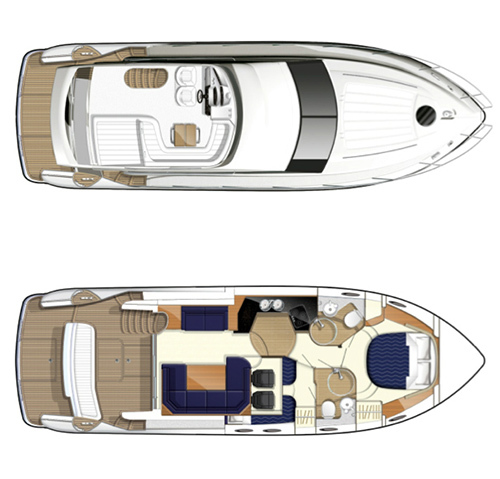 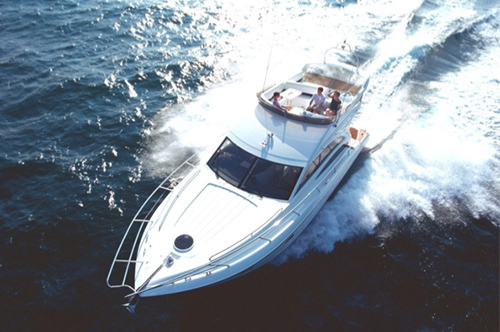 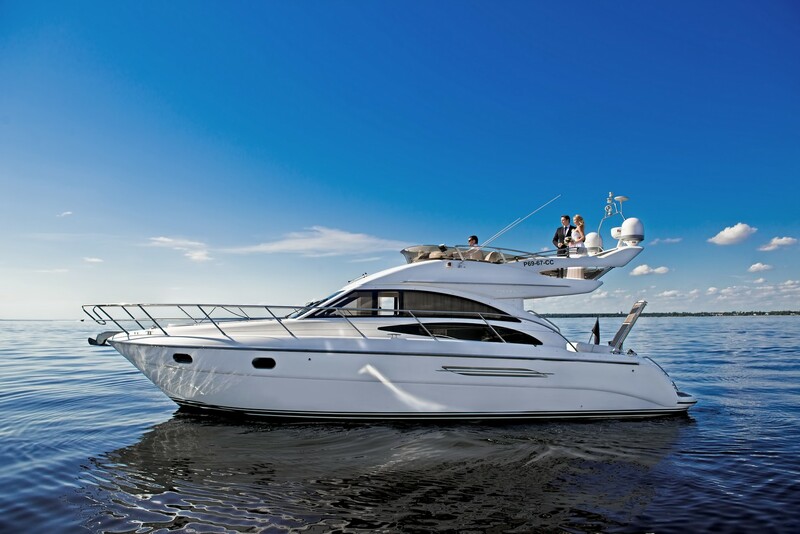 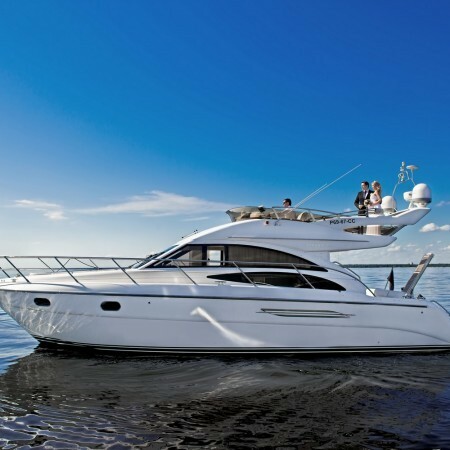 Immaculately finished and incredibly spacious the Princess 42 has become an iconic model in the Princess range. 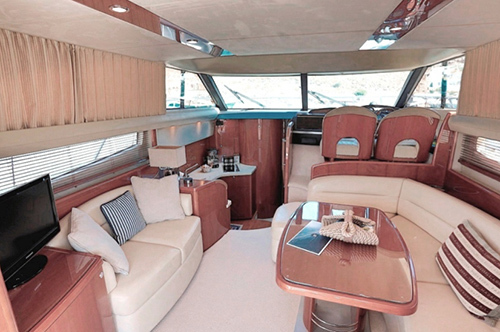 The impressive flybridge provides plenty of space to relax with a large sunbed, generous seating in the salon providing a seating area to both sides. 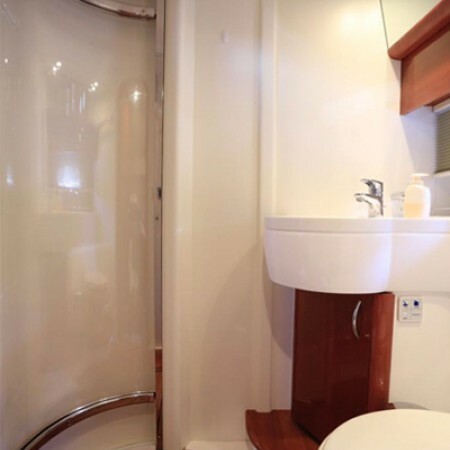 The lower accommodations is equally well appointed and comprises of two beautifully finished en-suite cabins including an elegant master and twin guest cabin. 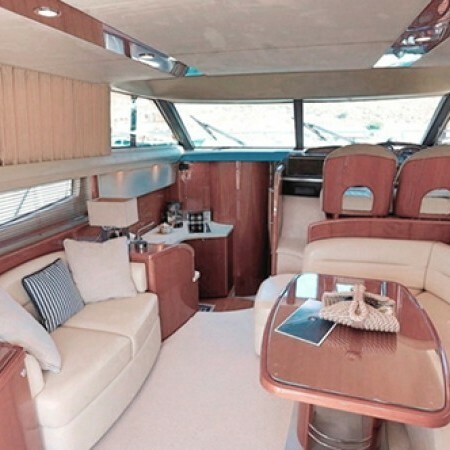 Triple sliding glass doors lead from the teak laid cockpit to the generously proportioned, light filled saloon which is intelligently arranged and features seating to both sides. 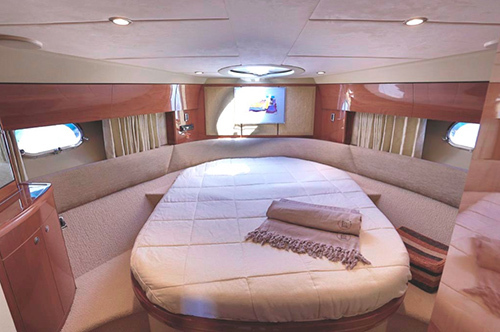 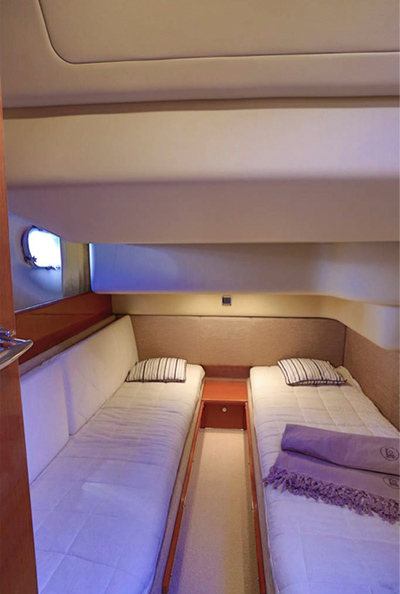 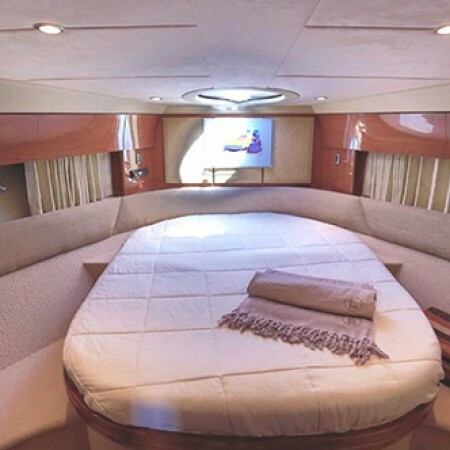 A few steps down, the open galley has been specified to cope with an extended stay on board and provides excellent storage space throughout. 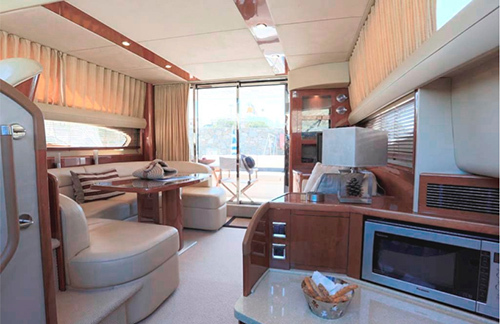 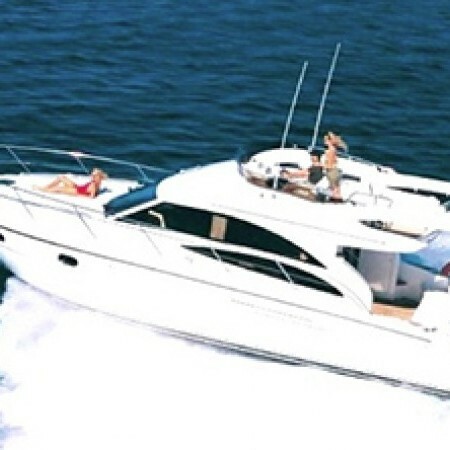 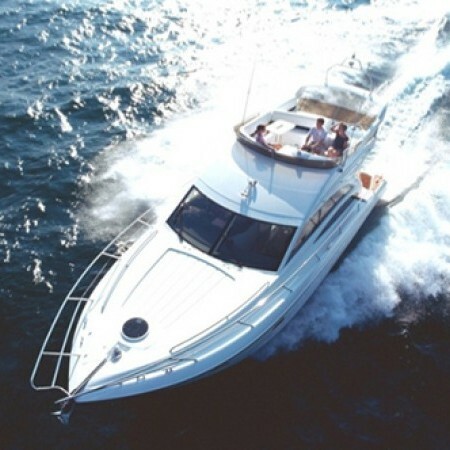 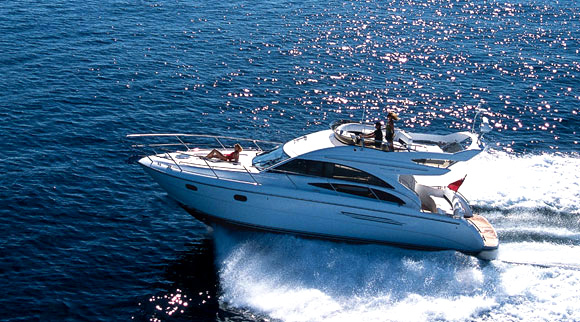 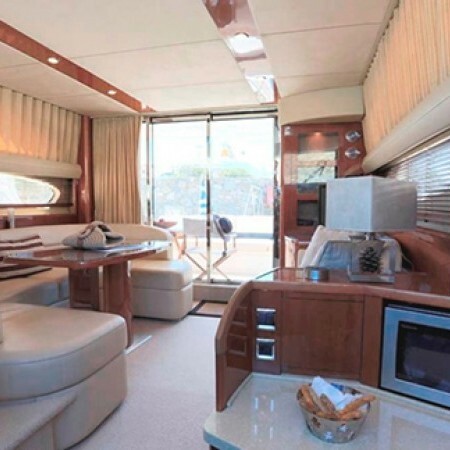 If you are in search of luxuriant yachting, Princess 42 is the ideal yacht for you. 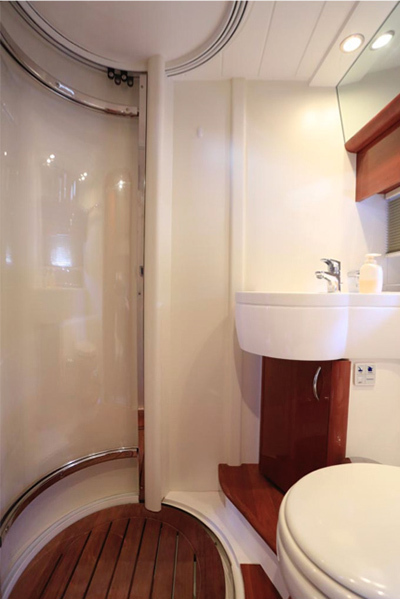 With two cabins at your disposal and two decks (the main and the sun deck). 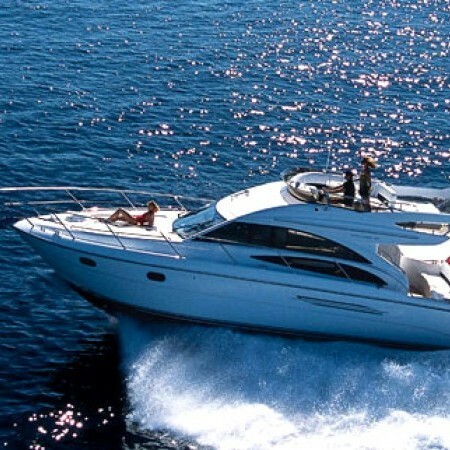 Two sitting rooms, interior and exterior, fully stocked bar and kitchen, access in water sports and many other benefits. 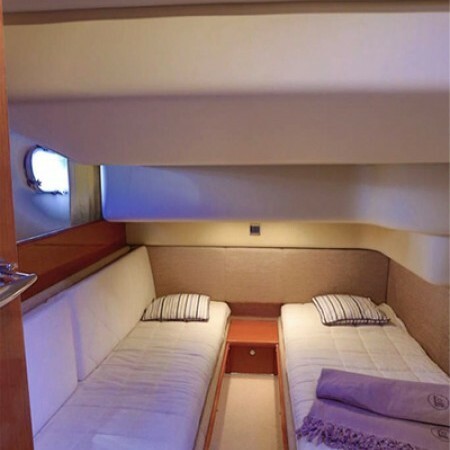 Princess Stef also provides you with a captain and stewardess to provide you with what you need.